Today's review is on BornPrettyStore's 4 Piece Brush set! These brushes are very easy to use as they are both soft and flexible. Each brush has its own color, which I like since it helps to know which one you want to use without actually having to look at the number or tip. The only brush I've had trouble with so far is "0", it seems there's something stuck on the bristles that doesn't want them to separate. I believe I've got most of it out, however. I love that most of the tips end in a fine point. This makes those tiny details a lot less of a hassle to do. The best part about it? 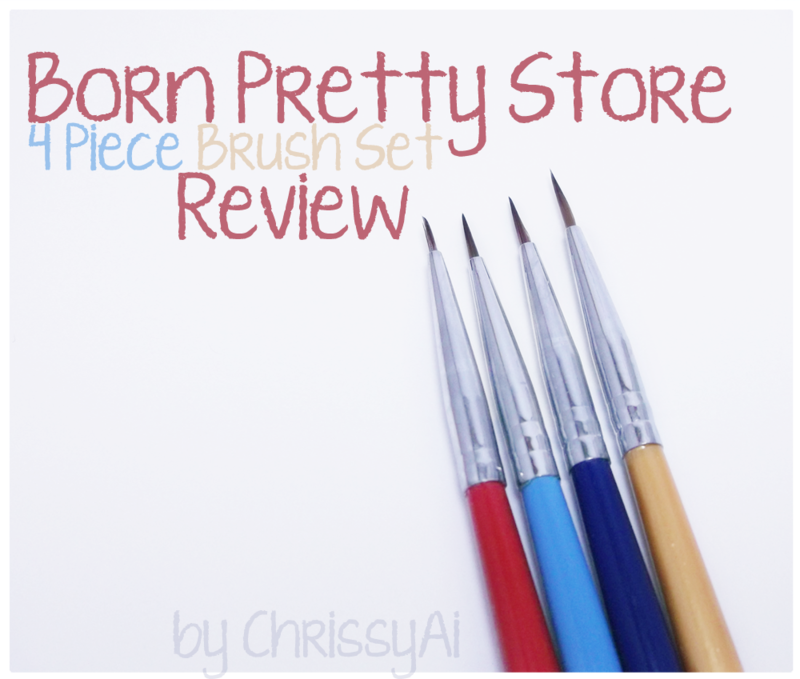 This brush set is only $3.51 USD and BPS also offers free shipping worldwide! For this design, I used the brush "00". This brush made the design a lot easier than trying to use a striper. I had so much control over how thin or thick I wanted the line, as well as how much polish was on the brush. The ease of use with these is great. The handles are thin, like the brushes, and fit comfortably in your hand. I haven't experienced any shedding and they have held up, as far as I can tell, perfectly fine in acetone! As I mentioned, they are soft and flexible however they are still dense to the point that they aren't just pressing flat to the surface. I'm really pleased with these detail brushes and I'm so excited to be able to use them for all of the designs I've wanted to before having them! For those of you interested, you can use the coupon code "GAL91" and receive 10% off your order and shipping is free worldwide! You can click the image above or click HERE to be transferred directly to the brush set! Wow!!! 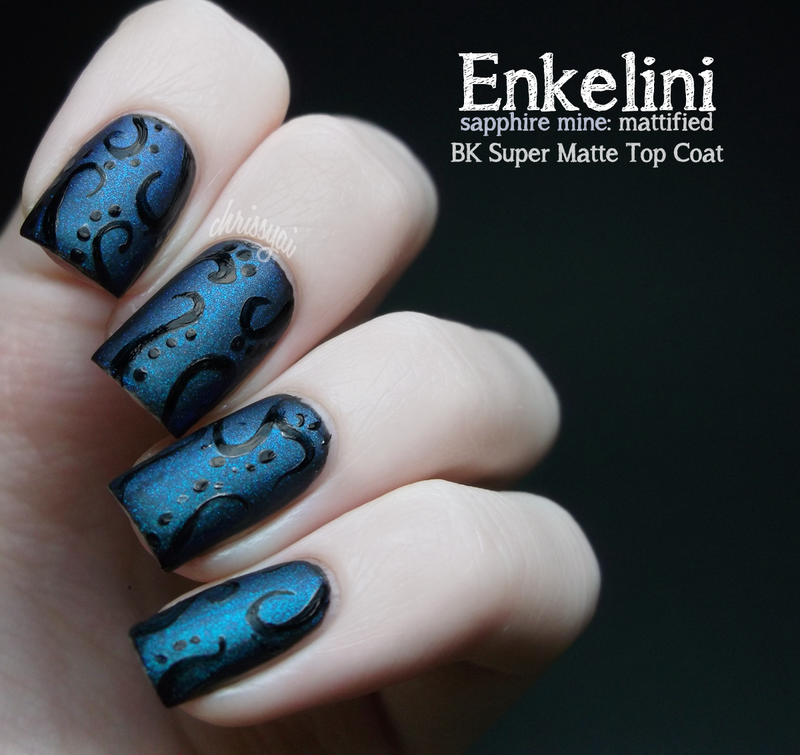 That is a lovely manicure - i may have to put these on the x-mas stocking stuffer list! thanks for the post! Oh, yay! I love hearing that things I like other people are enjoying too. Haha, I think I may be stuck on two as well.